What is a ghost card? | How do you use a ghost card? A ghost card can function like a credit card or a debit card depending on your preference. It is a one time use card that has the ability to expire when you tell it to. These cards also have robust expense management controls baked in. Businesses must spend money to keep their companies operating. Traditionally, the payments made by companies were made by issuing commercial checks. Employees would have to submit requisition forms and then wait for their requests to be approved. The companies would then issue purchase orders and draft commercial checks to pay the invoices that they received. Today, more businesses are turning away from commercial checks in favor of noncash payment methods. According to the 2017 Federal Reserve Payments Study, the number of commercial check transactions from 2015 to 2016 fell by 3.6 billion, and the value of the transactions paid for by commercial checks fell by $3.7 trillion. One noncash payment solution that businesses are choosing is a ghost credit or debit card. A ghost debit or credit card is a randomly generated credit card number and CVV that can be used to complete a single transaction. Businesses may assign them to individual departments for better expense tracking and control. If you are wondering “what is a ghost card?” the information below can provide some illumination. To understand what is a ghost card, understanding that ghost debit or credit cards are not plastic is a good start. Random credit card numbers are generated together with CVV codes. The cards may be used vertically or horizontally by companies. When they are used vertically, the ghost numbers might be assigned to specific vendors to reduce invoicing costs. Ghost virtual cards may also be assigned to departments within an organization. The employees may use the cards to make purchases within their departments, and the purchases are charged back to the departments. This makes spending more transparent as compared to reimbursements and other payment forms. Traditional payment methods for businesses include purchase requests and orders, checks, invoices and reimbursements. These systems involve significant soft costs in the time it takes to process the requests and to issue checks, reimbursements, and purchase orders. The transaction costs for purchases using traditional payment methods are the same regardless of the value of the transactions. For example, if a business needs to buy a yellow legal pad at a business supply store, a requisition form must be completed and then processed by the accounts payable department before the purchase can be approved. In situations involving low-value transactions such as this, the costs associated with approving the transaction may be higher than the value of the item that is purchased. Traditional payment methods are also frequent targets of fraud. Virtual cards are credit card numbers that are randomly generated and can be used to make purchases. The numbers are linked to an original credit or debit card, and the purchases are charged to the original card. However, other people cannot use the virtual card numbers to access the original credit or debit card. Ghost debit cards are similar to virtual credit or debit cards because they are also randomly generated credit card numbers. 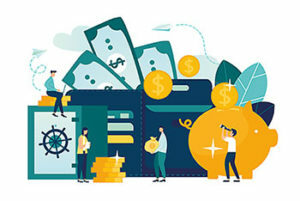 When they are used horizontally, the numbers may be issued to individual departments, and the purchases may be deducted from a single high-balance account. Procurement cards are credit or debit cards that employers give to a specific group of employees. 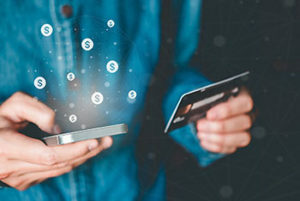 The employees are then able to use their cards to make purchases for their companies without having to spend their own money and wait to be reimbursed. Ghost credit or debit cards are randomly generated numbers that are assigned to individual departments. Employees who work in those departments are able to use the ghost numbers to make purchases, which are then charged to the departments. How do ghost cards differ from standard business credit cards? Ghost credit cards differ from standard business credit cards in several important ways. 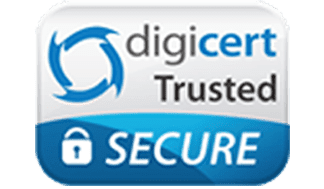 With ghost credit or debit cards, you can limit the cards to making purchases from specific vendors, and the card numbers can’t be used by thieves to run up charges on the card. Standard business credit cards are plastic cards that employees might use to make purchases for the businesses. If the numbers are stolen, then thieves can run up charges on the cards. Businesses are also unable to limit where their employees might use the credit cards, increasing their risks of internal fraud. How many times can a ghost card be used? Ghost debit cards can be used once and then will no longer work. This feature is to help to reduce the risk of fraud. If a thief manages to steal the number when a purchase is made, the number won’t work and will be useless. Businesses can also choose to set an expiration date for the ghost numbers that they issue. Employees can then make purchases using the ghost numbers until the expiration date arrives. Alternatively, vendors that receive ghost numbers to use can charge purchases to them for the companies until they expire. Ghost debit or credit cards may be used online to make purchases. They can also be used to make purchases from suppliers and vendors by telling them the numbers. The purchases will then be charged to the originating departments and subtracted from the company’s account or added to its credit card balance. Ghost numbers may be used to make purchases at any vendor, supplier, or retailer that accepts credit and debit card payments. The merchant codes on the cards can be restricted so that they can only be used to pay specific vendors. What do ghost card payments do? When a purchase is made using a ghost card, the purchases are charged back to the departments that are assigned the card numbers. 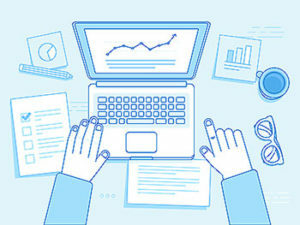 This helps companies to track their expenses by each department and to assign different purchasing and expense responsibilities to different departments. Ghost card payments make it easier for companies to be immediately aware of their expenses. By contrast, reimbursement requests from employees are sometimes not submitted to the accounts payable departments of companies for weeks or months. Ghost cards can also be assigned to specific vendors who can then simply charge the purchases made by the business to the cards so that paperwork that would normally be associated with each individual purchase can be avoided. Now that you understand the benefits of ghost virtual cards, you might wonder, “Where can I get a ghost card?” You can obtain ghost debit or credit cards from your card issuer. Some companies provide software that you can install on your computer. The software can then be used by you to instantly generate the random card numbers that will be linked to your credit or debit account. Ghost accounts are scalable and allow you to generate as many or as few numbers that you need. To find a good company, you can conduct research online and read reviews. One key benefit of using ghost virtual cards for payments is that you can set spending limits on each of the cards that you generate. For example, you might give a number to one department a balance of $2,500 while another that has to make more purchases might receive one that has a balance of $4,000. The cards can be limited to spending certain amounts on specific days, and they can be limited to where they can be used. This can help you to keep the costs at your business under control and to prevent unauthorized purchases. Ghost debit cards can also be used to help you to categorize the spending at your company at the department level. You can set different limits on each card according to the needs of the department and restrict the spending to certain categories or merchants. Many of these cards also allow you to import the data automatically into your accounting software so that you can easily track the spending that is happening across your company. If you see that one department is spending more than you would like, you can take corrective measures to get the spending under control. Using ghost accounts can help your business to reduce its reliance on invoices and reimbursements. 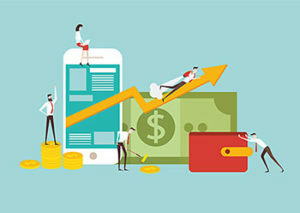 When businesses ask their employees to make purchases using their own money, the employees risk not being repaid by their employers in a timely fashion. Employees may also wait to turn in their reimbursement requests, making it difficult for businesses to have an accurate picture of their employee expenses. Assigning ghost numbers to specific vendors with which the business makes numerous purchases can also be beneficial. Doing so can save the transaction costs involved with processing invoices and issuing payments. Ghost debit cards can also allow your company to improve its expense management and tracking. The enhanced expense controls can allow you to limit when and where the numbers can be used and how much can be spent. The ability to see the expenditures as they happen makes it easier for businesses to understand their employee expenses so that they can make adjustments to their budgets. It can also help to identify spending trends and spending issues that might be occurring within the companies. 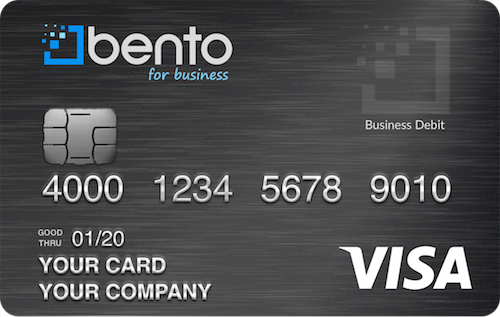 Bento for Business offers ghost debit cards that have extensive expense controls and are scalable as your business grows. The Bento for Business Visa debit cards can be used to pay for purchases from any supplier or vendor that accepts Visa debit and credit card payments. Bento provides you with a strong and versatile API, and the cards can integrate with your accounting software without having to invest in heavy IT. You can simply deposit the amount of money that you want into your account and allocate how much money to make available on the card numbers that you issue. To learn more about the ghost debit card solutions at Bento for Business, call 866.220.8455. You can also try the cards out with a free 60 day trial.